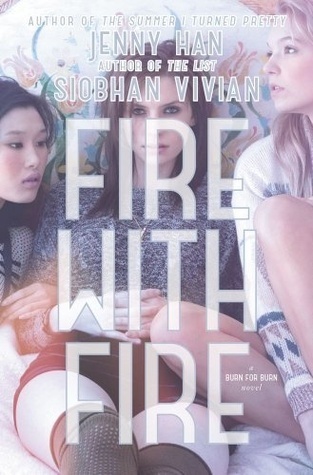 When sweet revenge turns sour… Book two of a trilogy from New York Times, bestselling authors Jenny Han and Siobhan Vivian. Ever since I read Burn for Burn, I've been thirsting for this book! My all time favourite character is Mary because she's so pretty ( on the cover ) and there is something special about her which I like. Kat is awesome too! She's such a brave person. And the theme of revenge is so strong you can practically taste it when you read it. So I bet Fire with Fire would be the same, or even better: Goddamn Awesome! I'm so in love the cover! I'm really excited for this one, too. I loved Burn for Burn and can't wait to find out what happens. Great pick!